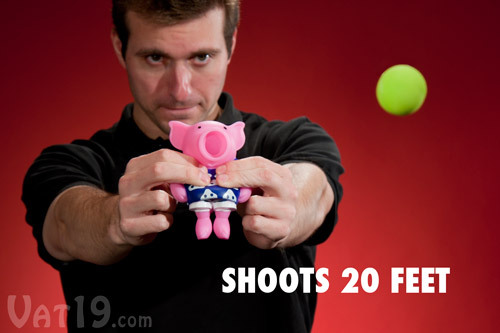 Poppers: Silly animal shooting toys with an addictive sound. 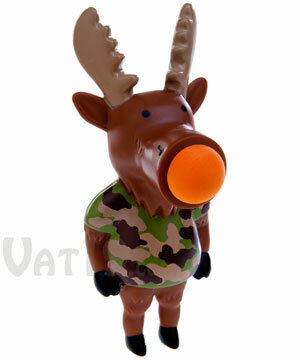 Poppers are plastic toy animals that shoot foam balls. And they're wicked fun! 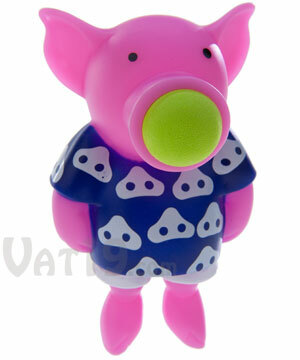 Sometimes a simple toy (like Poppers) can be insanely addictive. 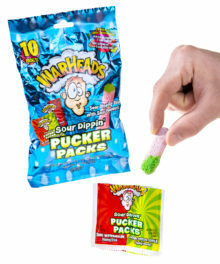 Simply place one of the six included foam balls into the snout of your Popper. Then squeeze its belly to fire the ball up to twenty feet. 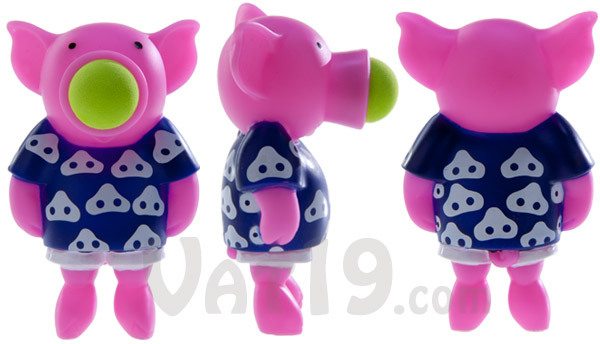 Named for the satisfying "pop" sound they make, Poppers are currently available in five animal styles: Pig, Moose, Dino, Penguin, and Santa Pig. Each Popper comes with 6 foam balls and a mesh drawstring storage bag. Replacement foam balls are available in packs of twelve. Ages 4+. Looking for a more mythical animal? Click here. Dimensions (Dino): 5.5" x 3" x 2.5"
Dimensions (Moose): 7.75" x 3" x 3"
Dimensions (Penguin): 5.5" x 3" x 3"
Dimensions (Pig): 5.5" x 3.5" x 3"
Dimensions (Santa Pig): 6.75" x 3.5" x 3"
Please note that the Dino popper's colors have changed slightly since this video was made. Silly toy? Yes. Crazy addictive? Y-E-S! Poppers are simple and, admittedly, a tad silly. 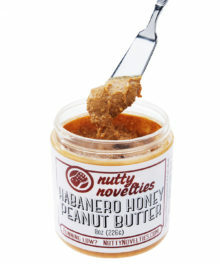 However, we couldn't stop playing with them when we were sent a sample. There's just something satisfying about the "pop" each animal makes when you squeeze its belly. You can send the soft foam balls flying up to twenty feet. 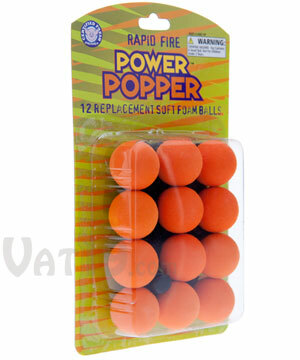 Poppers shoot a soft foam ball up to twenty feet. "What's with the 4 to 24 age range? 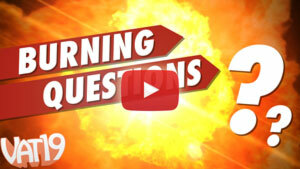 ", you may be wondering. It's simple, actually. This toy has been specifically and scientifically designed for the unique characteristics of children aged 4 to 24. 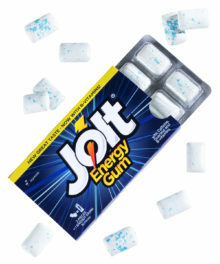 Twenty-five-year-olds will simply find zero enjoyment with Poppers. We kid, we kid. Poppers are safe, simple, and fun. 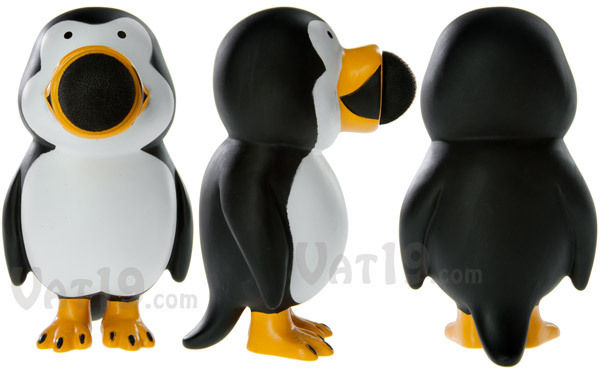 They don't require batteries and they make a really fun "popping" sound when fired. 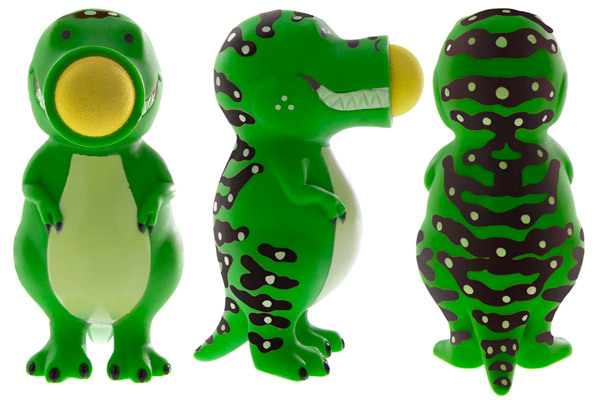 Kids will love 'em and adults will wreak havoc on their office productivity with Poppers. 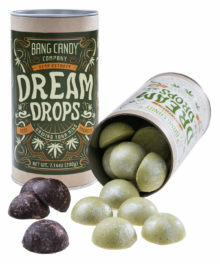 Poppers are designed for children (and adults) ages 4 and up. 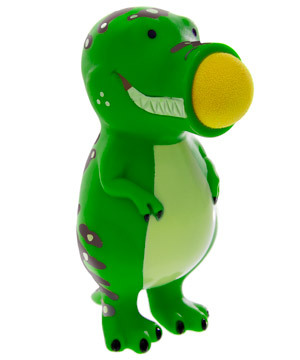 Load a foam ball into the snout of your Popper. Fun will commence shortly. 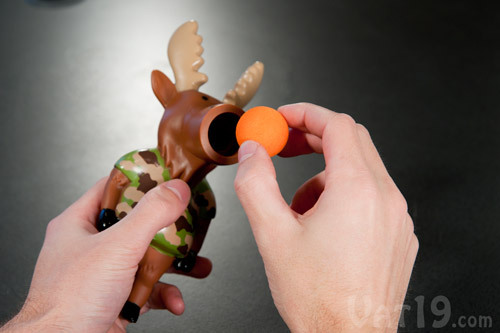 To use the Popper, start by putting one of the six included foam balls into its snout. 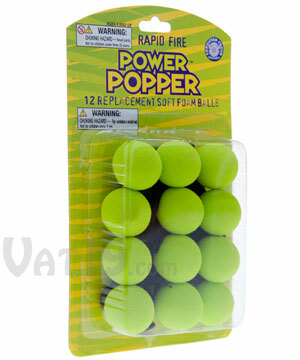 Simply squeeze your Popper's belly to fire the foam ball. Remember: aim small, miss small. In the photo below, the Moose Popper is aiming for the man's sideburns. 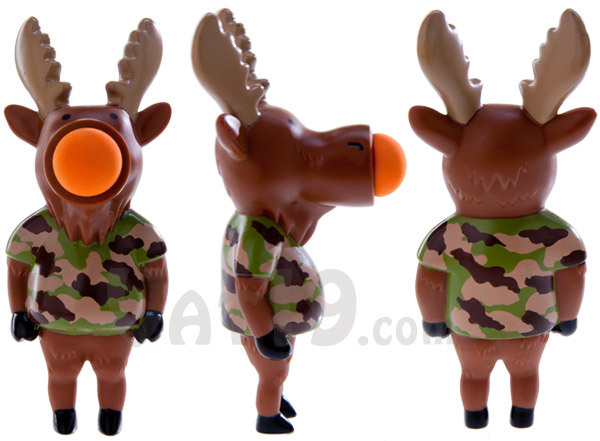 If the Moose misses, he'll still probably hit the man's ear, cheek, chin, or neck. You can thank us (and the movie The Patriot) for this sage shooting advice. As you can imagine, an ambush doesn't work too well if you miss with your opening shot. Squeeze the Popper's stomach to shoot the foam ball. 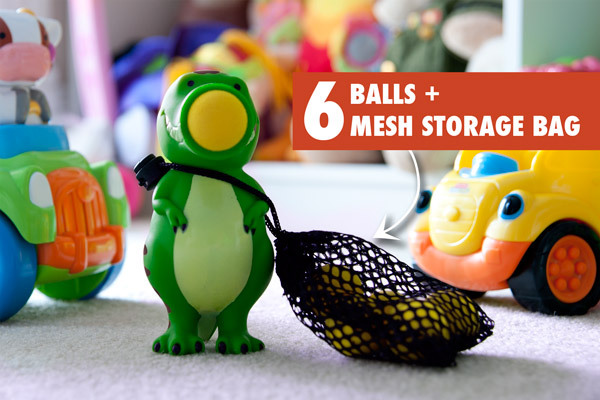 Each Popper comes with six foam balls and a mesh storage bag. 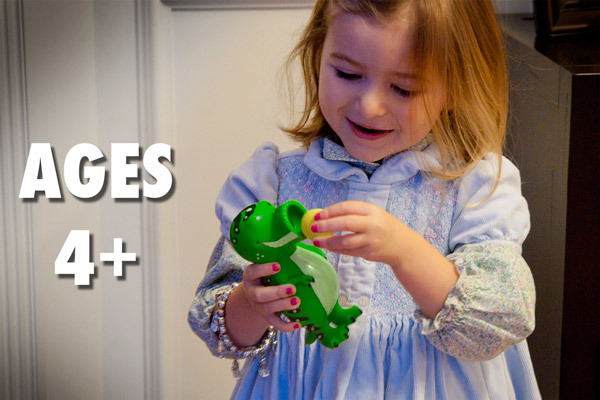 Both the Moose and the Dino come with orange foam balls and the Pig with lime green. Santa Pig comes with Christmas Green foam balls. 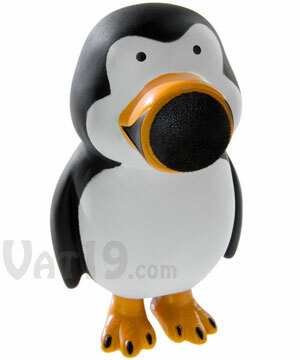 Lastly, the adorable penguin comes with black foam balls. Please note that the mesh storage bag may be black or white. Your Popper will come with six foam balls and a mesh storage bag. 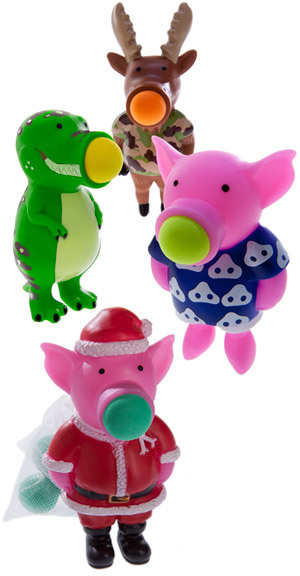 Poppers are currently available in the styles pictured below: Pig, Penguin, Moose, and Dino. Each Popper comes with six foam balls (in the colors pictured below) and the mesh carrying bag. Extra sets of ammunition (12-packs) are also available in orange and green. 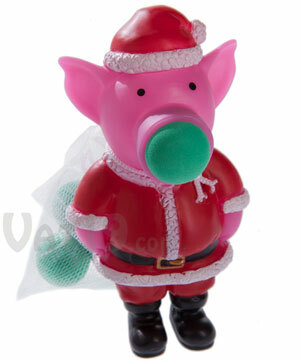 Check out Santa Pig. This porker makes for an awesome stocking stuffer! 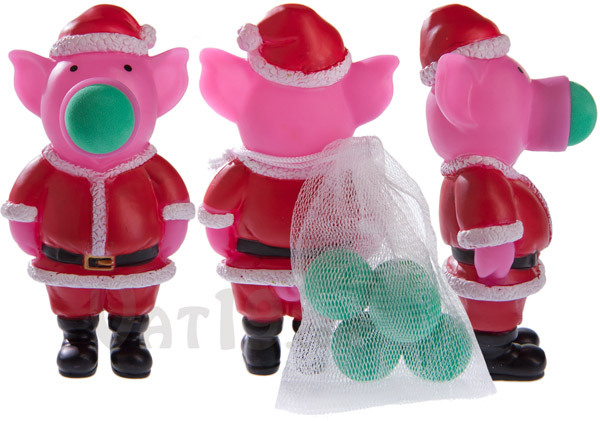 Santa Pig comes with festive green foam balls and a white drawstring bag.